100 LIVES launches the ‘Amal Clooney Scholarship’ – an annual scholarship for young Lebanese women to pursue a degree at the United World College (UWC) Dilijan in Armenia. Through this new scholarship, 100 LIVES will send one female student from Lebanon to Dilijan each year to enroll in a two-year international baccalaureate program. 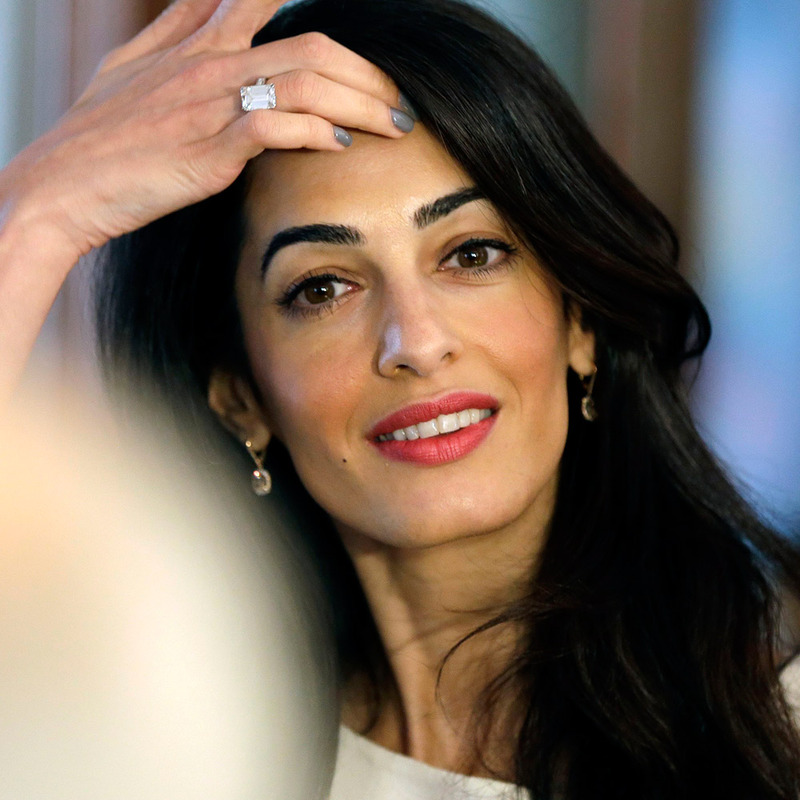 Recipients of the Amal Clooney Scholarship will be chosen annually based on their exemplary academic performance and demonstrable interest in the promotion of human rights and international issues. The first Amal Clooney Scholarship will be awarded to Pamela Tebchrany – a dedicated Lebanese student who graduated top of her class and is fluent in Arabic, French and English. She will be using the scholarship to pursue her interests in human rights and women’s equality. Beyond this scholarship, both Mrs. Clooney and her husband, George, have philanthropic ties to 100 LIVES. Mr. Clooney is co-chair of the Aurora Prize for Awakening Humanity – a new $1 million global humanitarian prize recognizing those who put themselves at risk to enable others to survive. He will present at the inaugural Prize at a ceremony in Yerevan, Armenia on April 24, 2016. 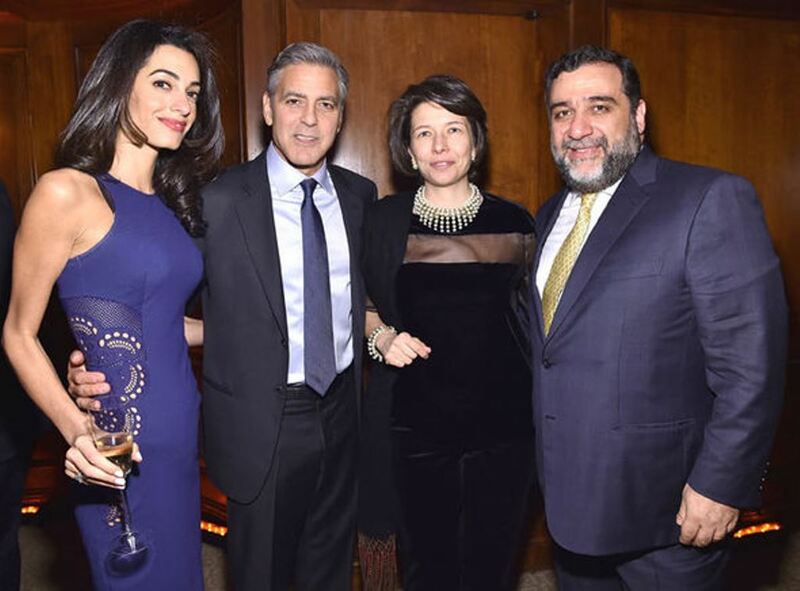 Mr. Clooney’s Not On Our Watch foundation is also a partner of 100 LIVES – the two organizations share a commitment to focus public attention on the impact of genocide and work to prevent mass atrocities around the world. Further information is available at http://www.100LIVES.com. Recipients will be recognized for the exceptional impact their actions have made on preserving human life and advancing humanitarian causes. Every year, the winners will be honored with a US$100,000 award as well as the unique opportunity to continue the cycle of giving by nominating an organization which inspired their work for a US$1,000,000 grant. The Aurora Prize will be awarded annually on April 24 of each year in Yerevan, Armenia. Further information is available at http://www.100LIVES.com/Prize. UWC Dilijan College opened in October 2014 in Dilijan, Armenia. It is the first international boarding school of the UWC education model to open in Eastern Europe and CIS countries and it accepts students from all over the world. Today UWC Dilijan has 190 students from 64 countries studying a two-year IB programme. The college offers full scholarships to 48% of its students, and a further 50% of the student body receive partial scholarships (covering 67% of tuition fees on average). UWC Dilijan was established by entrepreneurs and philanthropists Ruben Vardanyan and Veronika Zonabend with the support of other Founding Donors. The construction of the campus was funded by large-scale philanthropic donations, and the admissions policy aims to make places available to promising young talent regardless of their socio-economic background, on the basis of demonstrated need. More information about UWC Dilijan is available at http://www.uwcdilijan.org. Are these scholarships means tested? I can’t see whether they are solely merits and motivation based or whether they have a means element. My own personal view is that a scholarship without a means test is lamentable. I think the same, but I couldn’t find if the financial situaton is verified or the total amount of the scholarship. It is also in the post. Yep, seems like it is based on academic ability alone. A shame because it follows that it is possible those those are being awarded these scholarships can already independently afford to do the work they are being funded to do. And this is one of the paradoxes of human rights law – because it is poorly paid, if at all, unless you are independently wealthy it is very hard to accumulate sufficient experience, or indeed sustain a mainly human rights legal practice. ESR: I do not see the relationship between a scholarship based on academic achievement and your comments about human rights law. The scholarship is not to become a human rights lawyer if that is the connection you were attempting to make. Furthermore, exemplary academic performance is not a variable related to wealth and the ability to go on to school so it is likely that students coming from different backgrounds will qualify for the scholarship. I was making a general comment on human rights law itself – not suggesting the scholarship is for those seeking to be human rights lawyers. Back to the scholarship itself – sure a student from a disadvantaged background may well qualify. But why leave it to chance? Why not means test the scholarship so that you are certain that the recipient is not only able would not have been able to find the trip anyway? I just don’t see the point of paying someone to do what they can already afford to do. Means testing scholarships would ensure greater diversity, not leave it to chance. And statistically speaking, due to various social structures and issues in Lebanon and even my own country, the wealthy do top league tables – we don’t have a perfect meritocracy. Which is why means testing is crucial. Casual Observer: How do you know that Amal named the scholarship after herself? Please go onto the Internet and read about the origin of the scholarship. This is not Amal’s personal scholarship. 100 Lives press release mentionned the scholarship as “Amal Clooney’s Scholarship”. Casual Observer….I agree totally. While any scholarship to further education is a great scholarship, it’s just one more disappointing thing. Sigh. I have taught many UWC students in college over the past years and have found them to be wonderful students, very motivated and progressive. Most of them come from families with little means to support their children obtain a higher education. I’m glad to see a new campus open in Eastern Europe and commend Amal Clooney on this scholarship. I would argue strenuously against the above. No one who happily wears fur or endangered skins, or willingly becomes a show pony for outrageously expensive brands, can be described as having (a) compassion or (b) integrity. Reminds me of Huma Abedin, Hilary Clinton’s aide. Jaclyn: Amal did not receive her JD in America. She received a master’s in law, which is entirely different. She received her initial legal training n England. She received her LL.M in 2002. Im Buckingham Palace versammelten sich große Hollywood-Stars – und niemand bekam davon Wind. Ja, danke. Ich suche noch Amal Kleid aber es ist gar nichts so einfach. Manque d humilité de la part de Mme clooney. Il n était pas nécessaire que cette bourse porte son nom je trouve dommage. C est plus pour sa notoriété. Pourquoi voir toujours le verre à moitié vide plutôt qu’à moitié plein. Elle n’a pas besoin de plus de notoriété ….elle met sa notoriété au service d’une cause noble. I am just wondering would Amal get a scholarship in her name if she wasnt married to George Clooney. Nicole – would Amal get a blog in her name is she wasn’t married to George Clooney?